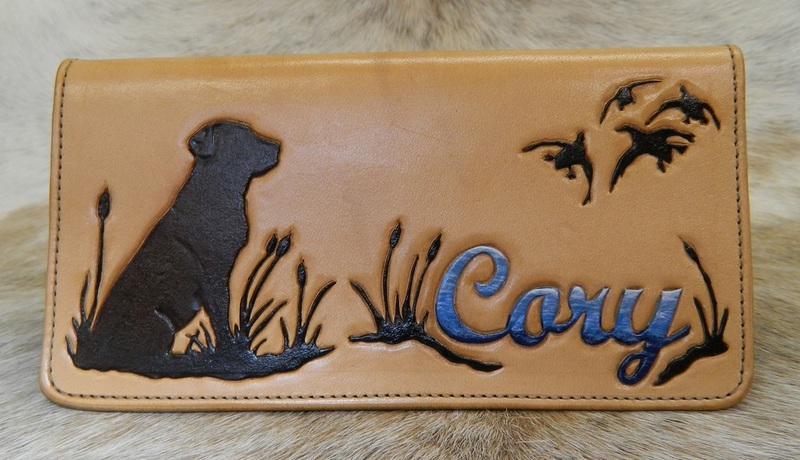 Custom leather checkbook covers made to order. 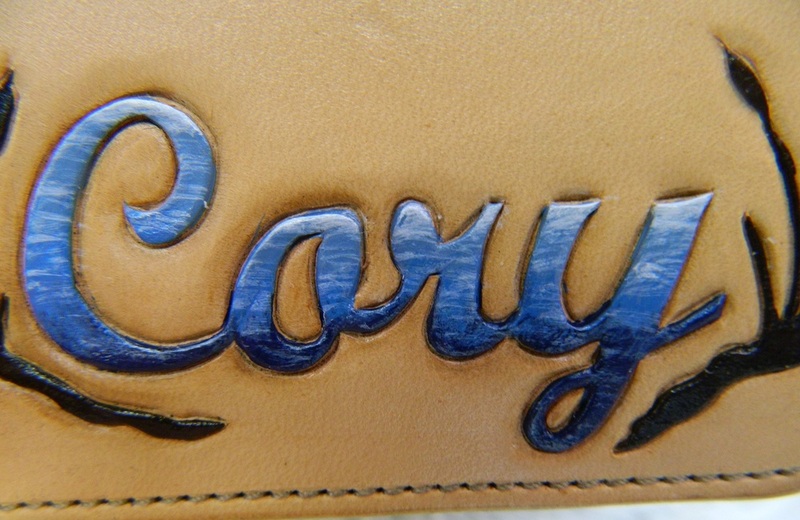 Order your custom leather checkbook cover with a brand, name, or figures. 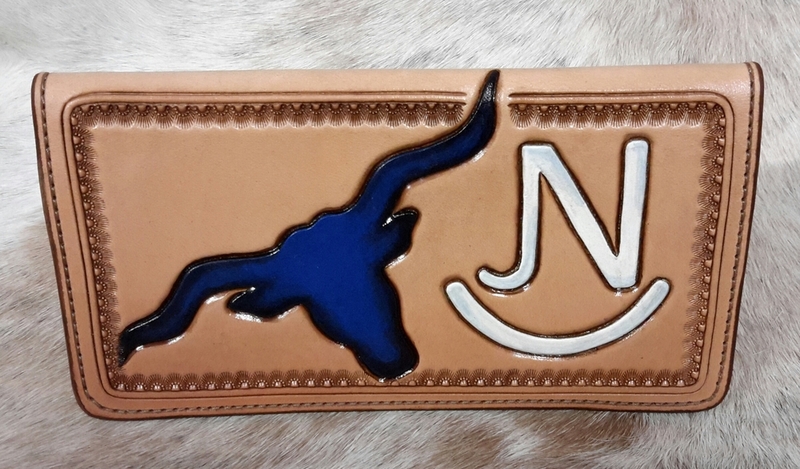 Custom leather checkbook covers: We would love to make you a one of a kind custom checkbook cover highlighting your brand, logo, or interests. 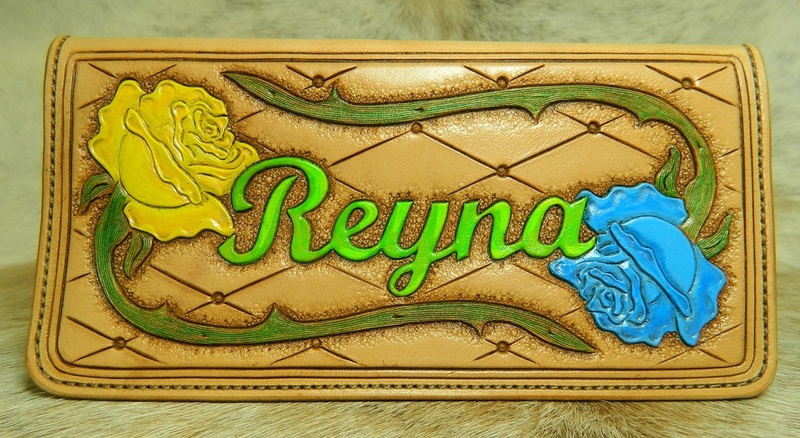 Custom checkbook covers also make special gifts and are easy to ship. If you would like, we will even take care of the gift shipping. Use the form at the bottom of the page to get in contact with us today to discuss your ideas. 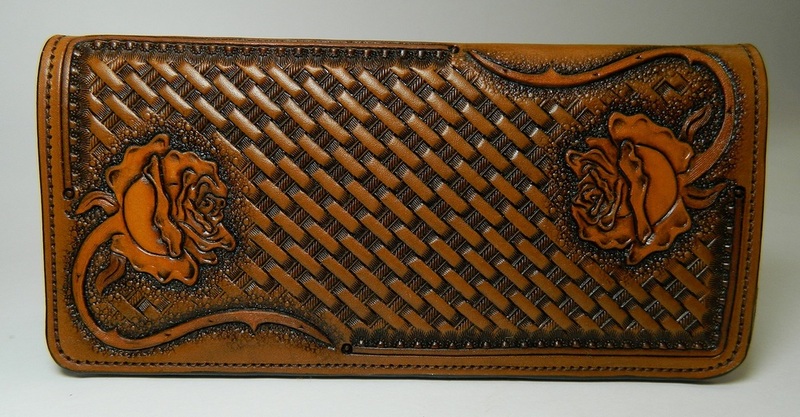 Custom leather checkbook covers start at $115 for a brand and basket tooling in your choice of colors, and include the standard interior of two pockets for checks and register. Other interior pocket options are available. 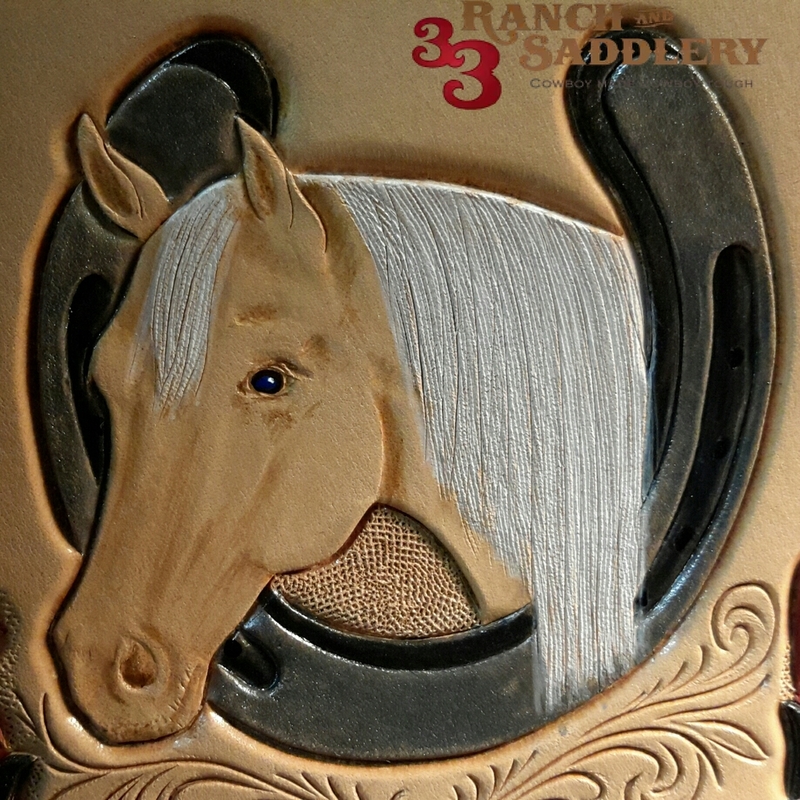 You also have what we call the "blank canvas" option that can be filled with an original design made just for you, which includes unlimited tooling, painting, and design work. We work with you to get a general feel of the design that fits your personality, then turn it into an original piece of art just for you! These are original pieces will never be duplicated. $230.00 with standard interior of two pockets for checks and register. Other interior pocket options are available. Thank you! We will be in touch as soon as possible to answer any questions you have.